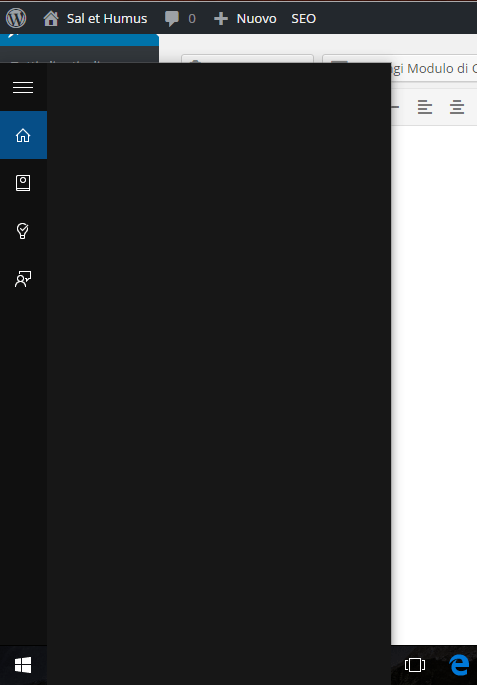 Well, I have no idea what happened, but Cortana’s interface just went bezerk. 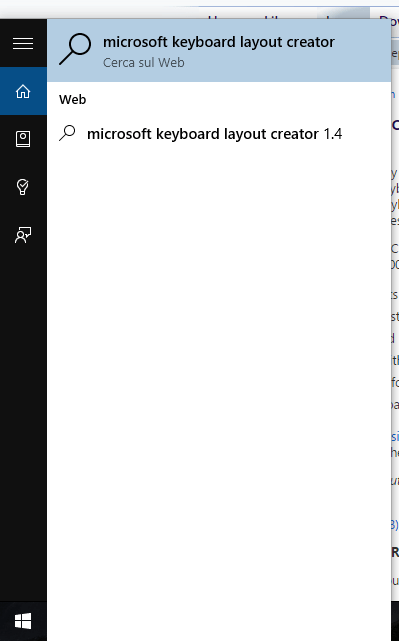 When I click in the search bar I no longer have a cursor, though I do seem to be able to type anyway. Cortana Screenshot while in ready state. Cortana interface after clicking on the microphone icon. 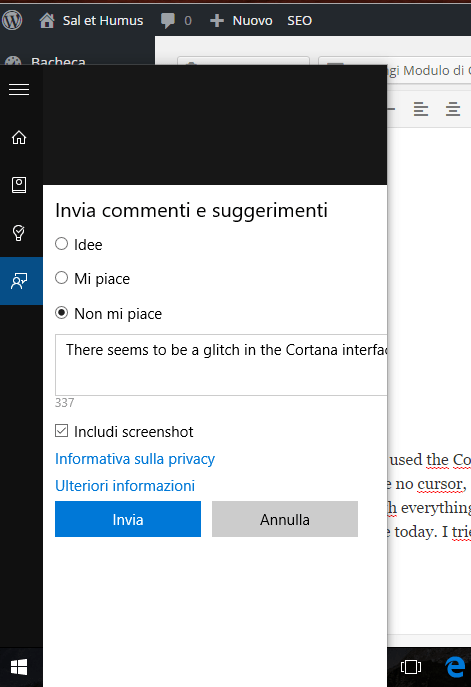 Cortana is actually listening now! For anyone who has already used the Cortana interface, it will be obvious that it has gone bezerk. The interface is basically empty, gone! I have no cursor, and I only have a black empty interface. Looks to me more like a glitch in the graphical interface, as though everything is maybe behind this black area. Has any else encountered this glitch? It just started happening to me today. Trying to write some feedback in the feedback module, but my cursor goes out of view! The line is not wrapping. I have no idea why this was happening, but it seems to have fixed itself. I haven’t even rebooted the computer, but the Cortana interface just started working again.